Power Rangers toys have a new home. After the shocking announcement yesterday that after a 25-year partnership, Saban and Bandai would be parting ways, today it is confirmed ahead of tomorrow’s New York Toy Fair that the brand will have a new home at Hasbro. The first products will be available in February of next year after the current deal with Bandai runs out. Not only that, Hasbro will be purchasing the brand in its entirety. Wow. Read the press release below. 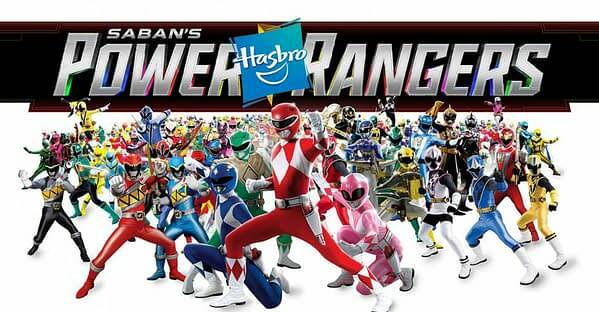 Today, Hasbro, Inc. (NASDAQ:HAS), a global play and entertainment company, and Saban Brands announced that Hasbro has been named the global master toy licensee for Saban’s Power Rangers. Under the terms of the agreement and in collaboration with Saban Brands, Hasbro will design, produce and bring to market a wide variety of toys, games and role play items inspired by the franchise and its entertainment properties. Hasbro will hold the worldwide rights, excluding Japan and certain other Asian markets, effective as of April 1, 2019. Funko Toy Fair Reveals Part 3: Mister Rogers, Bendy, Overwatch, Weird Al, and Atomic Blonde! Funko Toy Fair Reveals Part 2: IT, Tomb Raider, Gossip Girl, Potter, and Bob Ross! NECA Debuts a Trio of Horror Figures From The Fog, Re-Animator, and a New Freddy! Funko Toy Fair Reveals Part 1: Disney, Doug, Wrinkle in Time, Jetsons!